the gift to her father the next morning and said, “This is for you, Daddy.” The man was embarrassed by his earlier over reaction, but his anger flared again when he found out the box was empty. 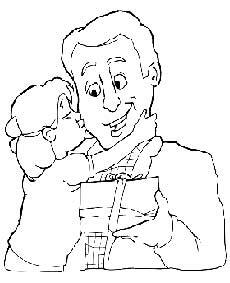 He yelled at her, stating, “Don’t you know, when you give someone a present, there is supposed to be something inside?” The little girl looked up at him with tears in her eyes and cried, “Oh, Daddy, it’s not empty at all. I blew kisses into the box. They’re all for you, Daddy.” The father was crushed. He put his arms around his little girl, and he begged for her forgiveness. Only a short time later, an accident took the life of the child. It is also told that her father kept that gold box by his bed for many years and, whenever he was discouraged, he would take out an imaginary kiss and remember the love of the child who had put it there. In a very real sense, each one of us, as humans beings, have been given a gold container filled with unconditional love and kisses… in form of our loving family, well wishers, and God. There is simply no other possession, anyone could hold more precious than this, yet many times we don’t realize the value of this love and take it for granted. Radhanath Swami captures the essence. He says, ‘Love means reciprocation. Therefore, you can’t love buildings or cars or money because there is no reciprocation.’ People around us may love us in manners that are unknown to us but when we open ourselves to be recipients of that love and reciprocate equally, we feel positively charged with that love. Nice story about the little girl and wonderful realization that love means reciprocation. Thank you for sharing this instructive story and the valuable lesson. Maharaj says:People around us may love us in manners that are unknown to us but when we open ourselves to be recipients of that love and reciprocate equally, we feel positively charged with that love. I liked this point v.much. 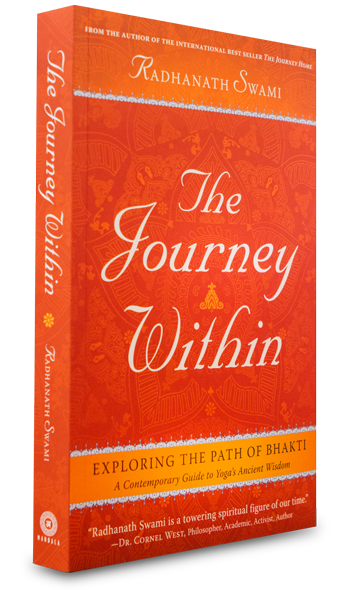 Thank you maharaj for such a eye-opening understanding. This was a touching one… Thank you for such an amazing write up…! Like that man we also haven’t realized those kisses kept in the box for us by Lord. Thanks for sharing. Man seeks love. Its only love that can fulfill and love can only happen through reciprocation. My little niece has a toy doll, that laughs when you touch it…and its this faint type of reciprocation, that makes it her favorite toy. In reality any child would be more happy with real reciprocation coming from real, loving, feeling parents.